Robin Williams memorial: Fans petition Nintendo to name character in next Zelda game after him. 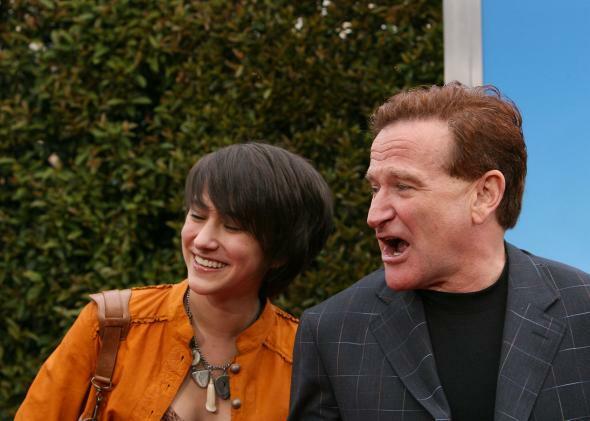 Robin Williams and his daughter Zelda in 2006. The world knew him as Mork, Mrs. Doubtfire, and the Genie, among about 100 other roles. But video game fans might get to know Robin Williams in a new capacity: as a character in the game series he loved so much, he named his daughter after its title character. Just hours after the tragic news of Williams’ death, Nick Schaedel, a gamer from Adelaide, Australia, started a Change.org petition asking Nintendo to name one of the villagers in the next Legend of Zelda game Robin. A video game salute to the comedian may seem a lot less fitting than the tributes he’s received on late-night TV, where he was considered “the best talk show guest in the world,” but that’s only because no one gets famous by playing video games. Any doubts about Williams’ passion for gaming should be cleared up by this touching father-daughter commercial for recent remake of the fan-favorite Legend of Zelda: Ocarina of Time. The petition is only a few thousand signatures shy of its goal, so it seems likely that Nintendo will respond to it the way Blizzard responded to a petition to pay homage to the comedian in World of Warcraft, another game he played between acting gigs. If Nintendo does make Robin Williams a resident of Hyrule, Schaedel writes in his petition, “He won’t get to play [the game], but he’ll live on forever in a universe he always loved.” And like all the other love pouring in for her father, it could provide another small measure of comfort to a princess who could really use some.